The Dutch bancassurer is on course to repay 2008 state bailout money with interest, and restructure itself sooner than others that overstretched themselves. But with its own government keener than most to bash banks, ING still faces more regulatory curveballs than European peers. Netherlands' ING banking and insurance group building is seen in Amsterdam. ING Bank made its first foray in the Australian RMBS market last week pricing its Idol Trust Series 2010-1 at an increased size of A$900m (US$889.9m). ING is to complete its restructuring by the end of 2016, two years ahead of a revised timetable agreed last year with the European Commission. The Dutch lender said on Nov. 6 that it has nearly completed the disposal of its Asian insurance businesses. It will launch an initial public offering of its European and Japanese insurance operations next year and has agreed to sell at least half by the end of 2015 and 100 percent by the end of 2016. It still has 57 percent of its U.S insurance arm to dispose of. ING has also given 1.1 billion euros to the Dutch government as part of its ongoing programme to repay 13.5 billion euros of state aid received in 2008. It now has 2.25 billion euros left to repay, which it plans to do in May next year and May 2015. On Nov. 1, ING said it was unwinding its so-called Illiquid Assets Back-up Facility (IABF), a mechanism to shield its capital from the impact of toxic mortgage assets. ING reported net profit of 101 million euros for the third quarter, against a Reuters’ consensus of analysts predicting a 25 million euro net loss. It has a fully loaded core Tier 1 ratio under Basel III rules of 10.4 percent. 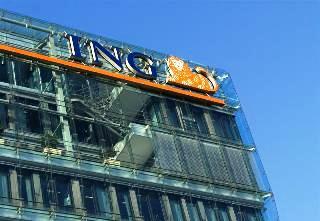 As of 1100 GMT on Nov. 6, ING shares were trading at 9.7 euros, up 4.8 percent.